NEW YORK (WABC) -- A consumer alert: Perdue is recalling one of its products that was sold in the Tri-State area. 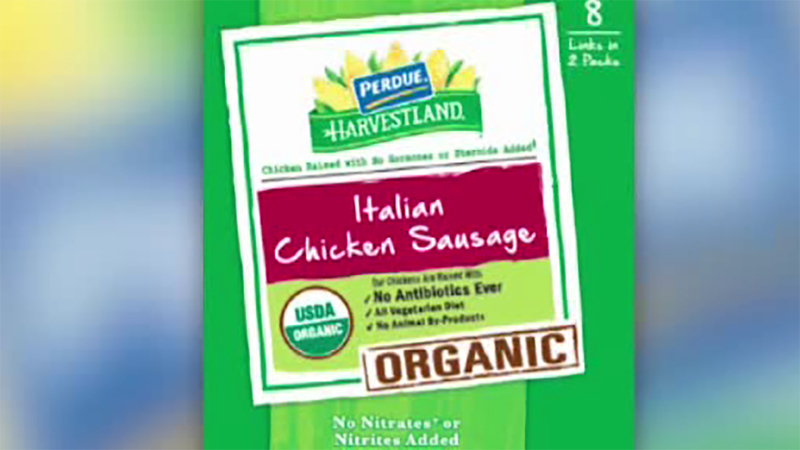 Perdue Foods is recalling 24-ounce packages of 'Italian-style Organic Chicken Sausage' links because some people reported finding pieces of blue plastic in the food. The affected packages were shipped to distributors in Connecticut, and have a sell-by or freeze-by date of June 25th. There are no confirmed reports so far that anyone was injured. About 2,000 pounds of the recalled sausage has been shipped to distributors in Connecticut and Maryland.